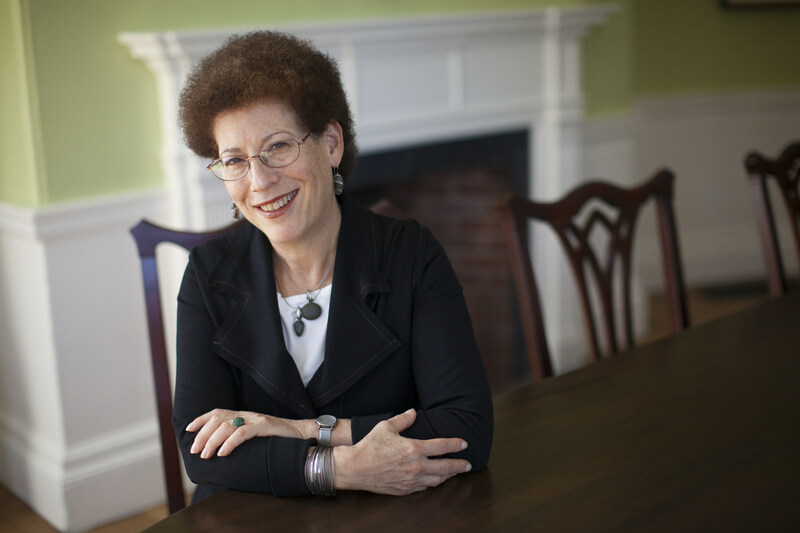 Jones professor of American studies Lizabeth Cohen, who was appointed dean of the Radcliffe Institute for Advanced Study in early 2012 after serving as interim dean for several months, announced today that she would step down at the end of the academic year. She will return to her research and teaching role in the history department after a one-year sabbatical. During her tenure, Cohen—a scholar of twentieth-century American social and political history who has a special interest in the American built environment—has emphasized Radcliffe’s role in the arts, both on its campus and in its new gallery space (see reports on exhibitions here and here), and in forging interdisciplinary and idea-generating collaborations with faculty members from across the University. She has also maintained a strong fellows program, completed the renovation of the Radcliffe campus, and overseen the institute’s $70-million capital campaign. “When I accepted President Drew Faust’s invitation to join Radcliffe in 2011 on an interim basis, I certainly didn’t expect to find myself, nearly seven years later, stepping down as the institute’s longest-serving dean,” Cohen wrote in an email this afternoon. She highlighted the institute’s achievements during her tenure, including significantly increasing attendance at institute lectures and other programs; expanding the Schlesinger Library’s holdings and programming; increasing the quantity and diversity of Radcliffe Fellowship applicants; and surpassing the institute’s capital-campaign goal. Her announcement follows last month’s news that Graduate School of Education dean James E. Ryan would depart to become president of the University of Virginia, making for more decanal vacancies for President Drew Faust to fill—or to defer to her successor, who is expected to take office next July 1. Cohen arrived at Harvard in 1997, from New York University. She was herself a Radcliffe Fellow during the 2001-02 academic year, and has also served as chair of the history department and director of the Charles Warren Center for Studies in American History.